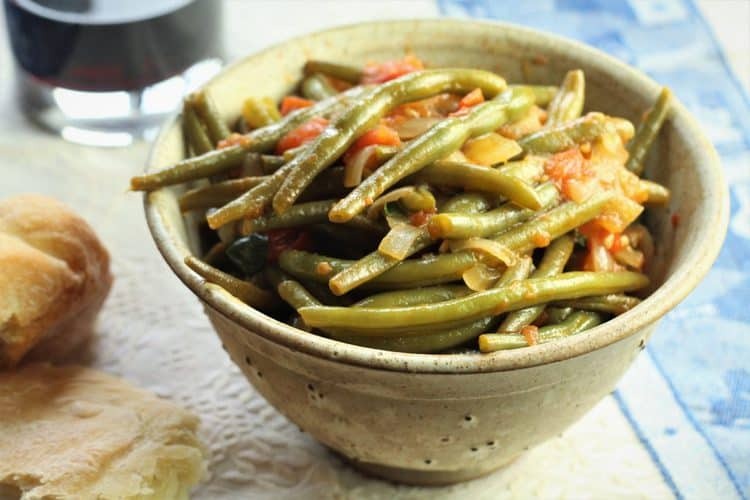 I’ll tell you the truth, I hated Stewed Green Beans with Tomatoes when I was a kid. My mother would make a huge pot of this with piles of green beans and tomatoes from the garden. She and my father would then dip pieces of her hard bread in the tomato broth until it became soggy. Actually, that was the only part I liked! 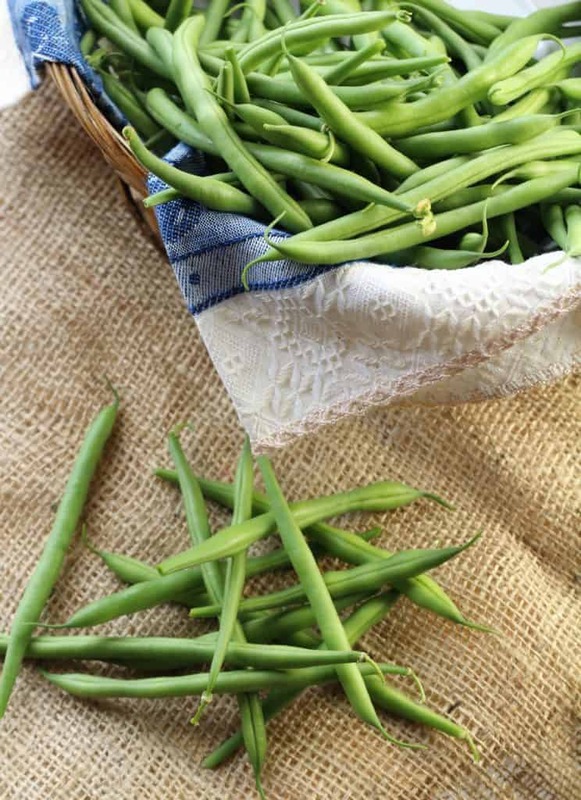 I also recall my parents sitting at the table and trimming tons of these green beans. Occasionally, I had to participate as well! Thankfully my palate has since developed and now I have my own vegetable garden so I can finally appreciate this dish. Once again, as in the last recipe I posted for Zucchini Blossoms with Eggs, the beauty of such recipes is their simplicity and access to fresh, in-season ingredients. No fancy long list of ingredients or spices are necessary here. This is yet another classic example of cucina povera, the concept of making do with what is available in order to create a delicious, hearty meal. 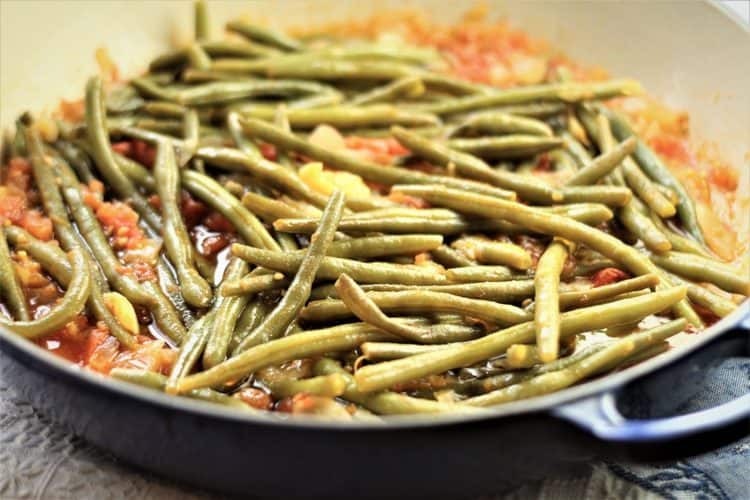 This is a dish we will only make at this time of year when the green beans and tomatoes are fresh and plentiful in the garden. 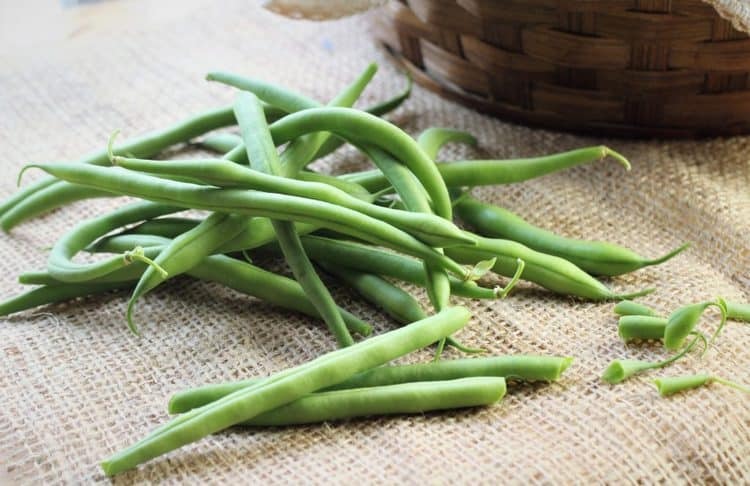 I planted a bush bean in my garden this year and as you can see, I’m thrilled with the result. The quantity of ingredients I put down in this recipe are an indication of what you may need to serve approximately four side dishes, but it can be endlessly multiplied according to what you need or what you have available in your garden. No matter how much you make, make sure you have either hard bread (pane duru in Sicilian) or friselle as most other Italians call it, or fresh crusty bread to serve with. That’s all I need to make this a complete meal. This is probably my favourite time of year to cook, when what’s available in the garden will dictate what we have for dinner and I hardly need to go to the grocery store. I hope you’re all enjoying the fruits of your labour! Buon appetito! 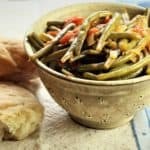 Green beans are now at their peak in the garden and this is the perfect time to make Stewed Green Beans with Tomatoes. 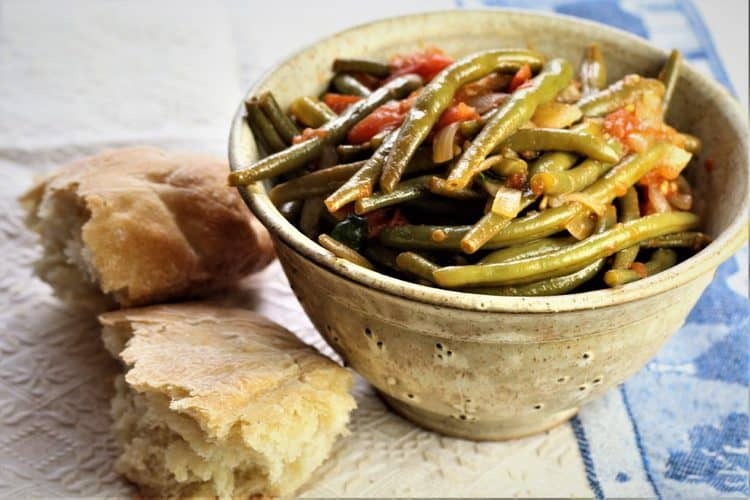 A delicious hearty main dish served with fresh bread or as a side dish, all Italians enjoy this dish at this time of year! Heat olive oil in a large, deep skillet and sauté onion until translucent. Add the diced tomatoes and cook, stirring, for five minutes. 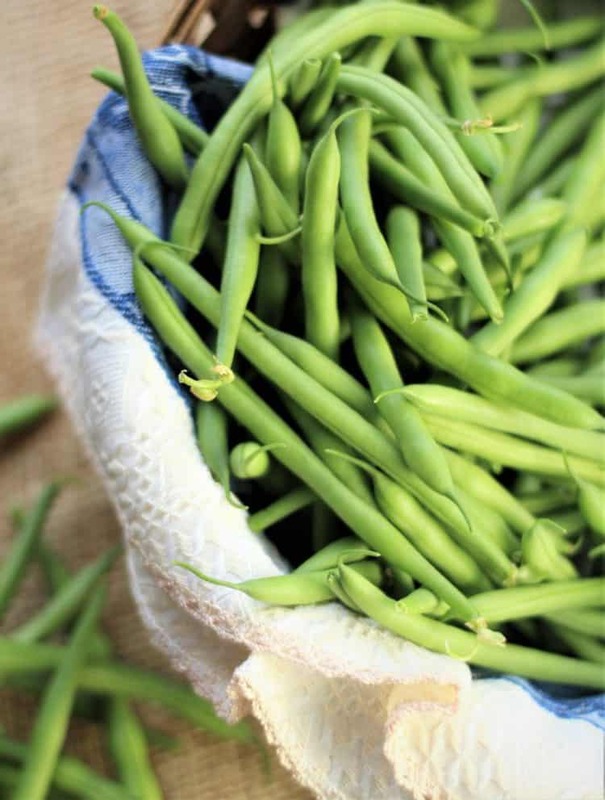 Add the green beans and salt, cover, lower to a simmer and cook until tender, about 25-30 minutes. If the mixture becomes too dry, add a few spoonfuls of water. Add basil or parsley and a drizzle of olive oil before serving.